Why should everyone in Farmington brush at least twice a day? Let’s take a look at why this is so important. Brushing and flossing is the best way to prevent decay. Brushing with fluoride toothpaste and carefully flossing removes the food from our teeth and inhibits the build up of plaque. If we let food stay on our teeth, the starches in the food will mix with the plaque. This nasty mixture forms an acid which immediately starts drilling into the enamel to form cavities. Brushing can’t get all the spaces between your teeth, so you’ve got to floss also. 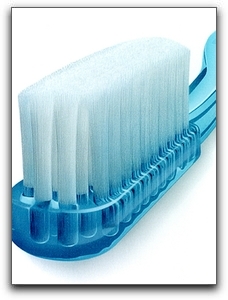 Brushing and flossing keeps gums and bone healthy. If you let gum disease go untreated, you can lose teeth that are cavity-free! Irritated gums pull away from teeth. Bacteria multiplies in the spaces between the gum and tooth. The bone holding the tooth is eaten by the bacteria. Say goodbye to the tooth. The good news is that gingivitis can be reversed if detected early. Call Sundance Dental & Orthodontics at 505-985-5626 to schedule a gum disease evaluation at our office in Farmington.